I suspected finding a theater to watch “Tommy’s Honour,’’ the newest golf-themed movie, might be difficult and I was right. 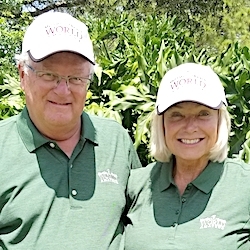 The movie made its U.S. debut on April 14 when we were in the golf hotbed of Myrtle Beach, S.C. Much to my surprise, no theaters were showing it there. A few days later we were in the golf mecca of Pinehurst, N.C. No showings there, either. Back in Chicago our plight was the same. Showings were extremely limited in the north suburbs, which was somewhat surprising given that two of the film’s producers – Keith Bank and Jim Kreutzer – are from Lake Forest. Finally, after eventually finding a theater showing the movie, we made an hour’s drive to Oakbrook and were among just four people in the audience for an afternoon matinee. Don’t assume the movie isn’t worth seeing, though. Any serious golfer should see “Tommy’s Honour.’’ After all, it is the story of the father-son team from Scotland – Old Tom Morris and son Tommy — that really gave the sport its start in the mid- to late-1800s. A good case could be made that Tommy was the first touring professional. Granted, the Scottish dialect used by the actors was hard to understand at times and some background in golf history was a requirement to fully appreciate this movie, which was based on a book of almost the same name by Kevin Cook. His title (called “Tommy’s Honor’’) just had a slightly different spelling. As is so often the case, I found the book – which came out in 2007 — better than the movie. Still, the film received a warm welcome overseas. It was nominated for awards in two categories in the British Academy Awards. 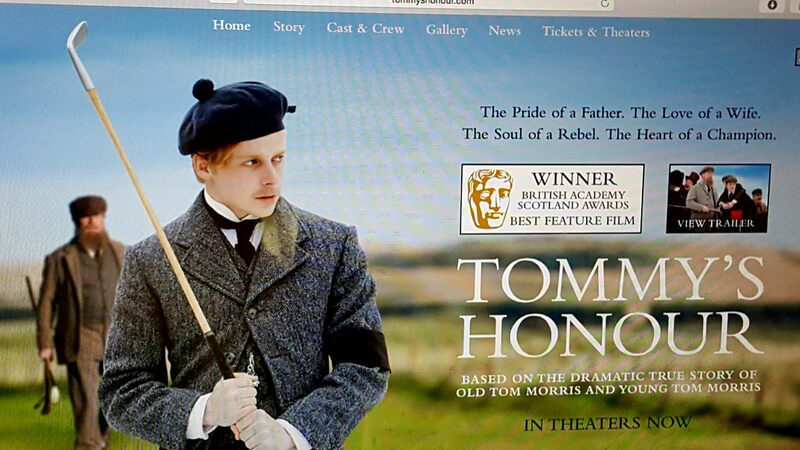 “Tommy’s Honour’’ should be easier to see as it works its way out of the theaters and into other distribution areas. It’ll be a perfect fit for The Golf Channel. Unfortunately, I suspect the next “required movie’’ for golfers will encounter the same difficulties that “Tommy’s Honour’’ did in getting into theaters. “The Founders’’ is the story of the 13 women who started the Ladies PGA Tour in 1950. Their story is every bit as important historically as that of the Morris clan. I haven’t been able to find “The Founders,’’ but it has been in some film festivals and – like “Tommy’s Honour’’ — was well received in Europe. I have seen the trailers for “The Founders.’’ They contain some vintage clips of Babe Didrickson Zaharias, Louise Suggs and Patty Berg but their story merits more than just a few classic action shots from the “good old days.’’ Their accounts of the tough days in founding the LPGA is long overdue. “The Founders’’ shouldn’t be confused with “The Founder,’’ another recent release profiling Ray Kroc, the founder of the McDonald’s hamburger chain. Only four of the 13 LPGA women who started the LPGA were alive when “The Founders’’ was filmed. 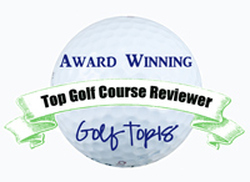 Like “Tommy’s Honour,’’ I’m sure more than just golfers will find it well worth seeing.